One of the key advantages of Augustus is its unique location. How often onefinds a location which is not only amidst greens but right in the middle of the city life. 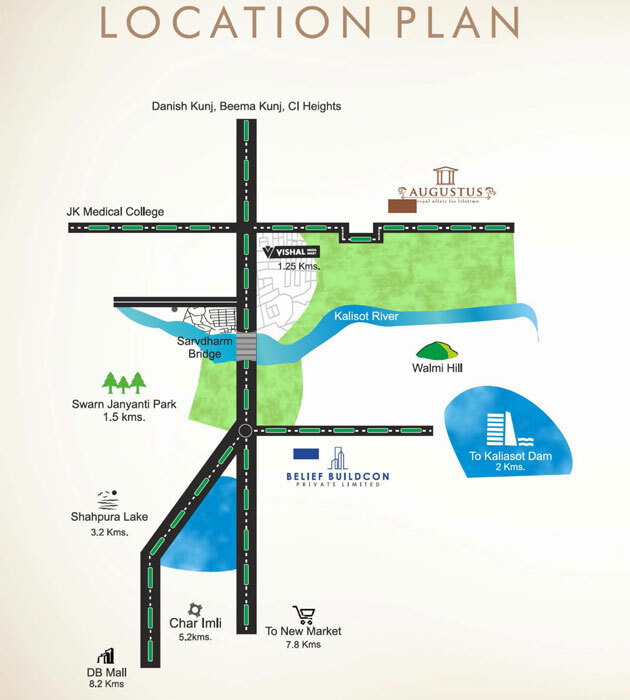 Augustus is just 7.8kms from New Market and just 8.2kms from the biggest mall of central India - DB Mall, M.P. Nagar. Always remember Augustus is right at the beginning of Kolar area, just 1.7kms from the Sarvdharm bridge.